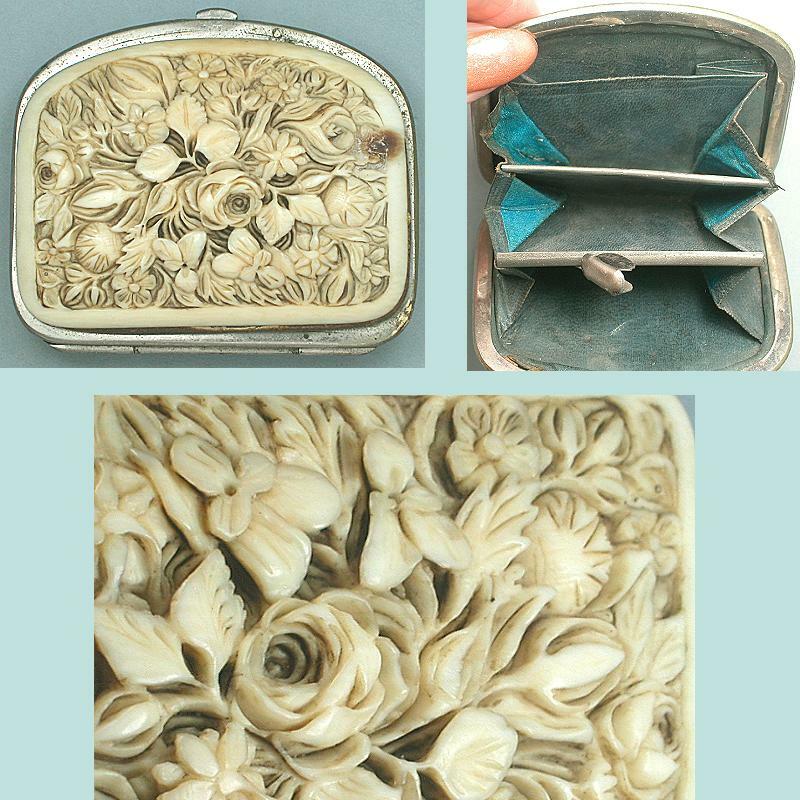 This lovely little purse was carved by the famous ivory carvers of Dieppe France. The frame is silver plated metal. It's lined in blue kid leather. Every bit of it is original. A little central interior purse has a separate catch. The amazing carving is a variety of lush flowers. I can make out roses, pansies, daisies and forget me nots. 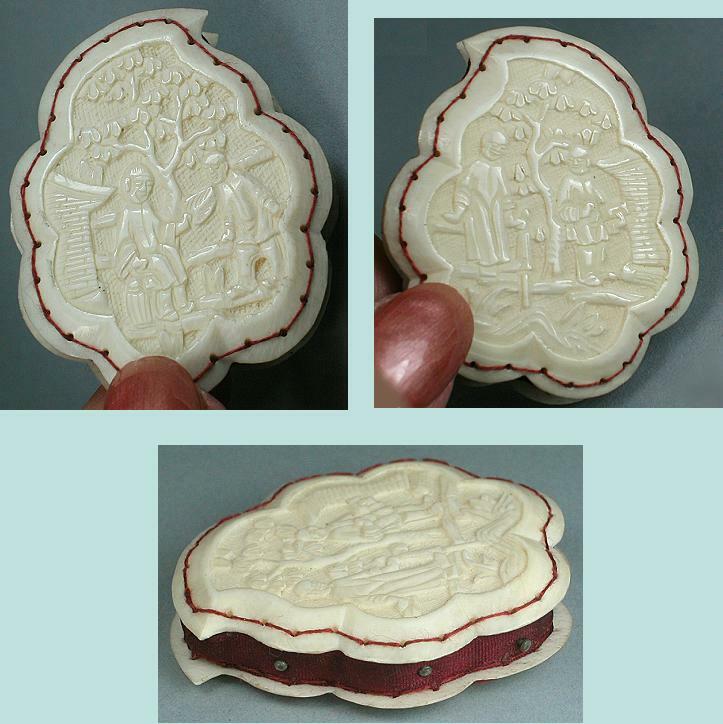 The ivory is intact but has a small burn mark on the front and back. The push button catch on top latches closed and opens well, as does the interior latch. It measures 3" wide by 2 1/2" high and has a gorgeous patina and nice ivory grain.